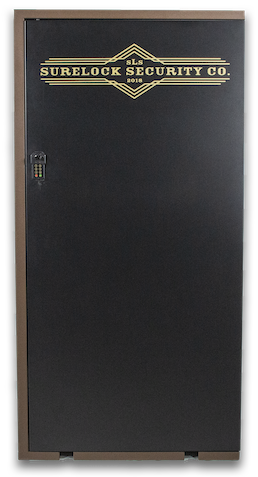 The SureLock Security Company Constitutional Cabinets provide innovative security, for all of your valuables, and most importantly – for your family and friends. 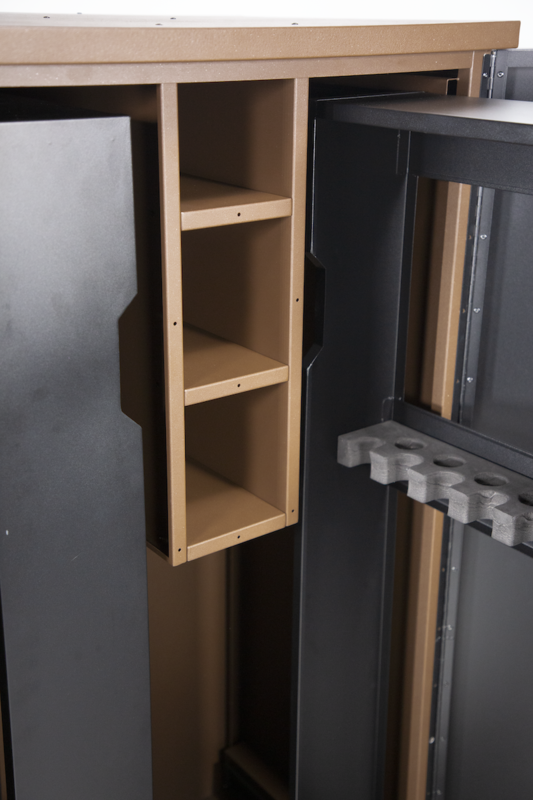 The SLS Cabinets are backed by a three-year warranty and are a patent pending design that virtually eliminates the need to pull out every gun. 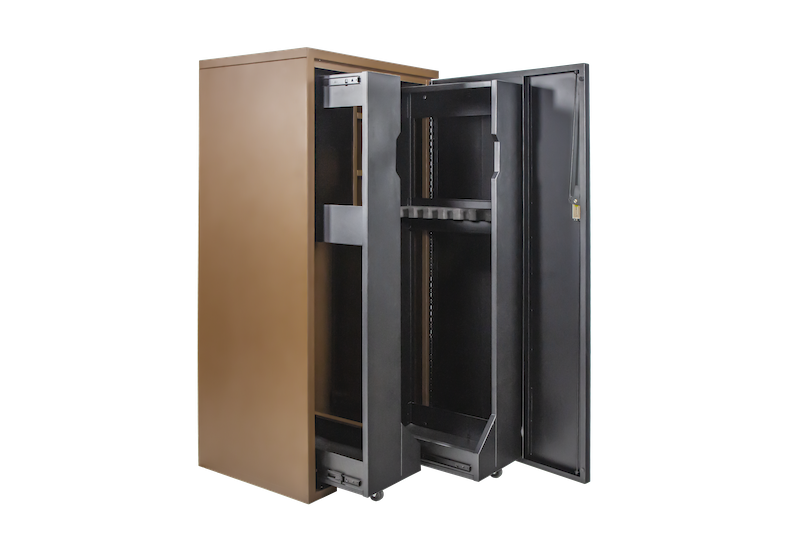 Thus, providing accessibility and security never offered before in an affordable storage solution. 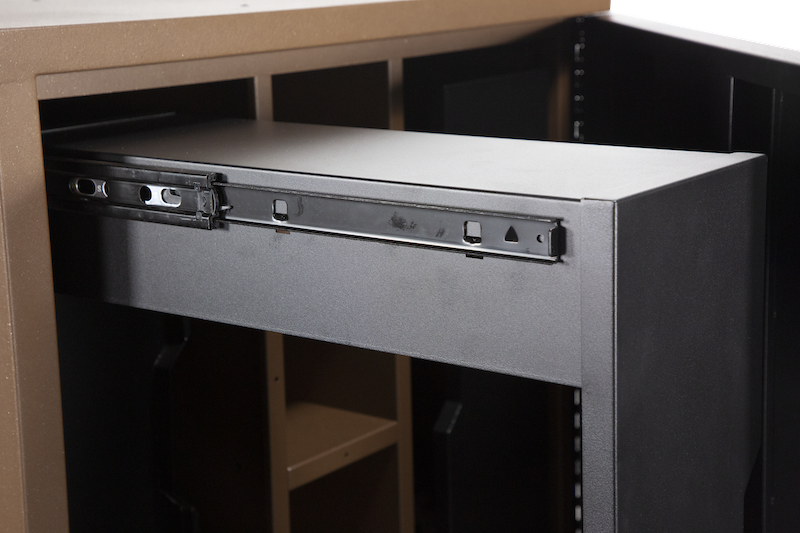 Enjoy easily maneuverable, 7 – 14 long gun vertical pull-out storage drawer(s), equipped with a smooth glide support roller. 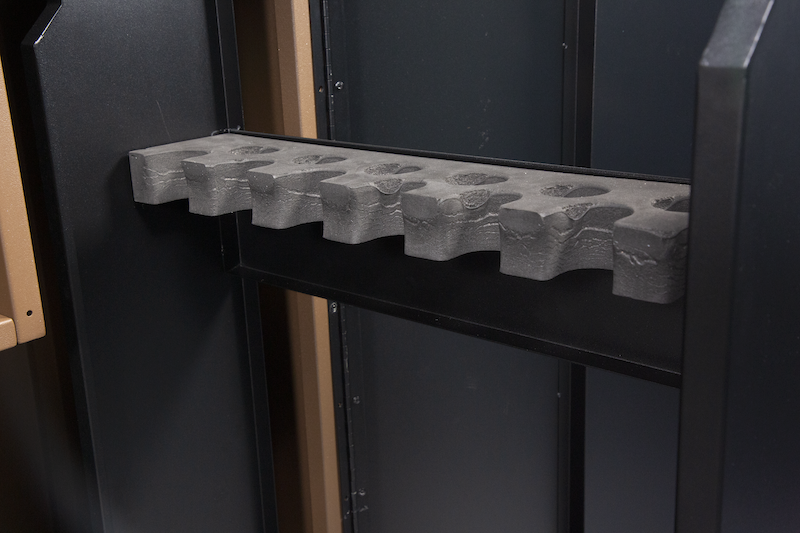 Each drawer has the ability to support up to 150 pounds, allowing you to safely store your guns with scopes attached. No overlapping, no scratching, no stacking. 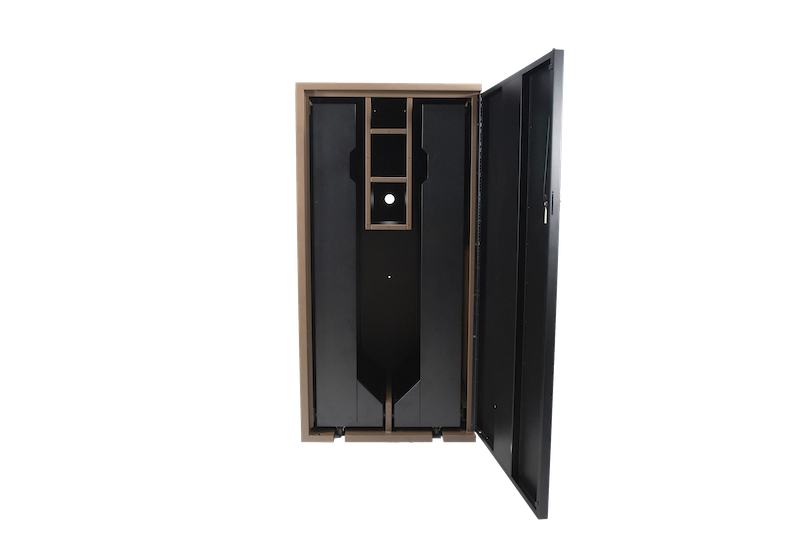 The Constitutional Cabinets have an electronic lock with 1 – 6 digit combination, allotting for 100,000 combination options, and include a backup key as well, just in case. 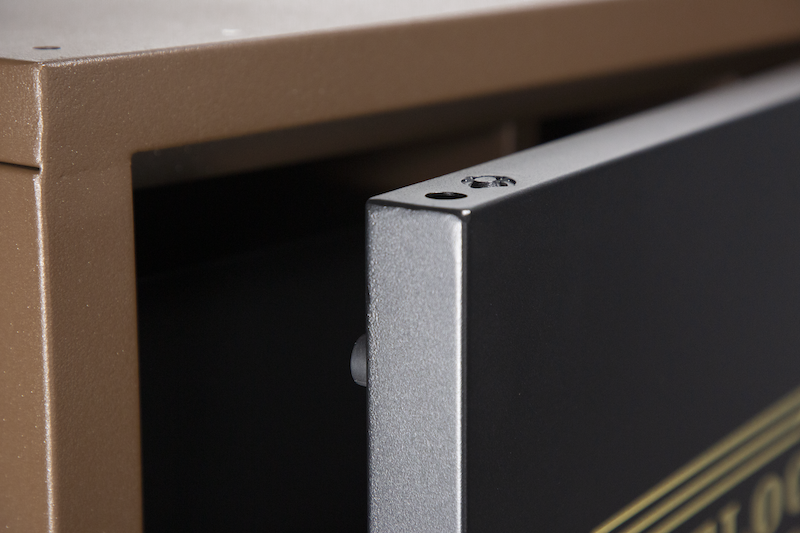 They also have an access hole in the rear, so you can add power for optional lighting or a dehumidifier. 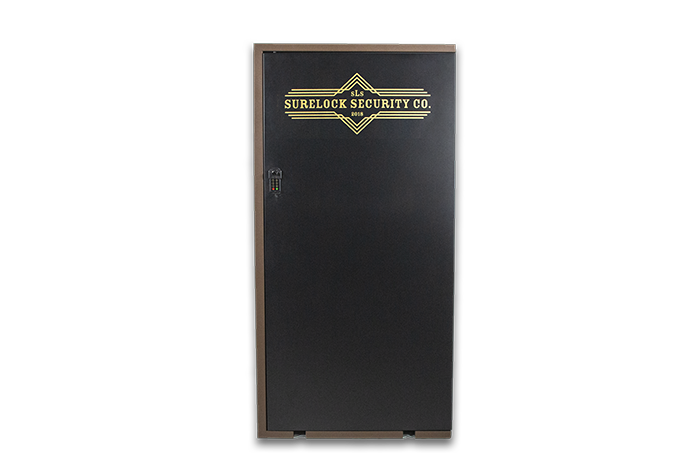 Stay safe, secure, and organized with the SLS Constitutional Gun and Home Cabinet and be sure with SureLock. Protect what can’t be replaced.